Today I have a couple baby cards to share. 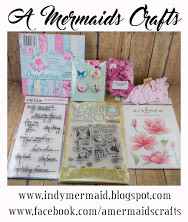 I used some adorable papers from Lemon Craft~Tiny Miracles which I received from my sweet bloggy friend Lisa. Thank you so much Lisa....I adore this collection! The base layer of my card is the Spellbinders 5 x 7 Elegant Labels 4. I then followed with the Spellbinders 5 x 7 Matting Basic B and then again the Elegant Labels 4. The adorable baby onesie is Sue Wilson Designs New Arrival Baby Onesie Die. The sweet baby sentiment is a die from this set as well. 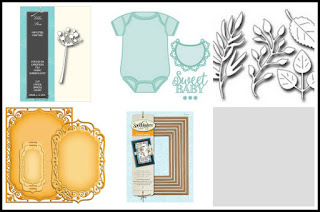 Such a great die set to create baby cards! They are both stunning. 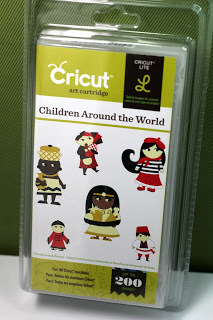 Love the papers, die cuts, embellishments and design. Perfect baby cards. Love them. Wowwwwwwwwwwww! These are gorgeous! LOVING the colors and the flowers!!!!!!!!!!!!!! These are as sweet as can be! Love that onsie die and your flower spray is a great accent to it. These cards are just adorable . I was falling in love with the pink card and then I saw the blue card . They are just perfect for new babies . Oh Sherrie these are so sweet and beautiful! Anyone would love to receive one of these! 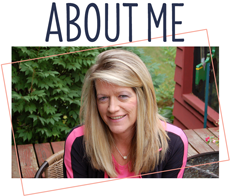 Wow, this is stunning Sherrie! I love the colors and your flowers look amazing. Love the design too. I love these gorgeous baby cards! The dies you used look amazing on your cards. Very soft and delicate just like a new baby! 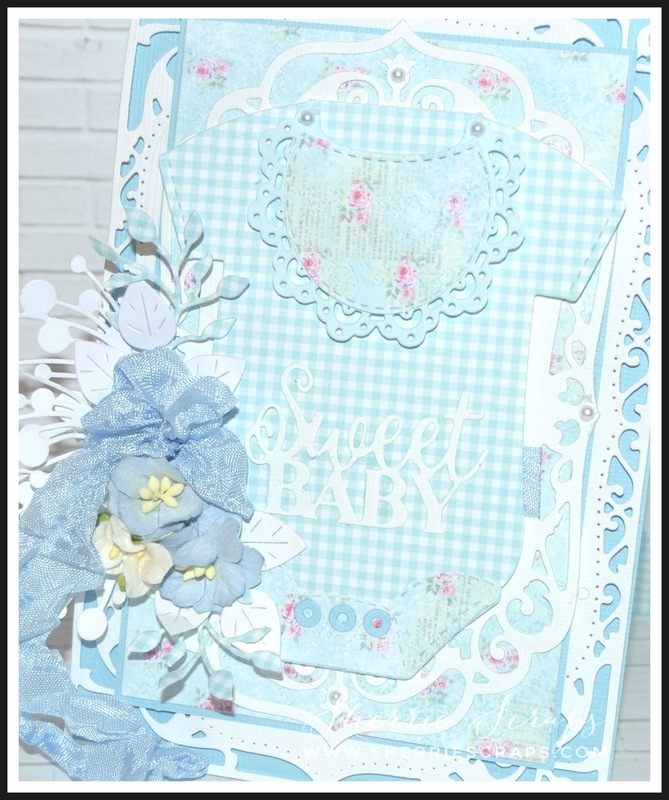 Oh, those papers are just too pretty, and you have made the most adorable baby cards! Love the lacy bibs and the floral elements. So very sweet! Such sweet baby cards! 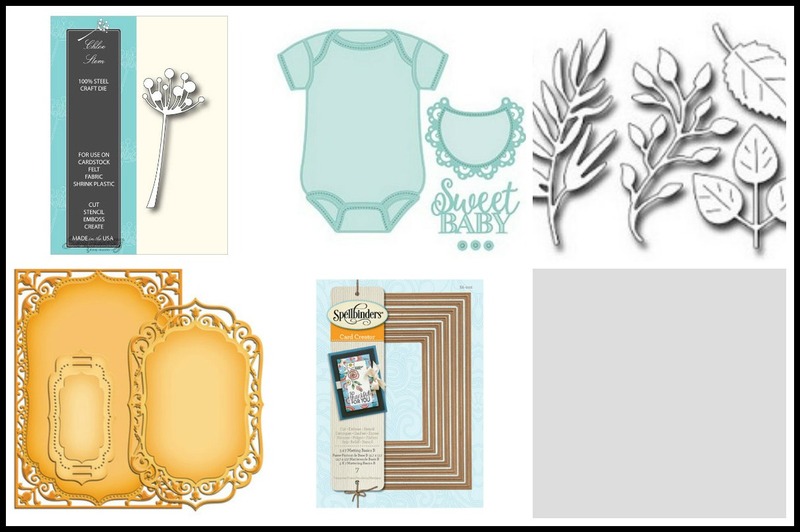 The papers you used are perfect for your cards and those dies look amazing! These are perfect for having on hand! The are just precious! !I love the darling baby onesies! !The Spellbinder dies are beautiful!Love the pretty bows & flowers.Awesome job my friend! OMGOSH Sherrie!!!!! These are absolutely adorable. perfect card I love how you designed them with all the ribbon and babies breath die images the onesies are just too cute and the gingham and flowered paper go perfect together. You make the most perfect bows!!! Great projects, thank you for joining us at Jo’s Funday Friday Challenge. Good luck with your entry. Oh my!!!! These are GORGEOUS!!!! Love absolutely everything about these stunning cards Sherrie! Thank you for this wonderful inspiration. Sherrie these are gorgeous!!!! Oh my!!! 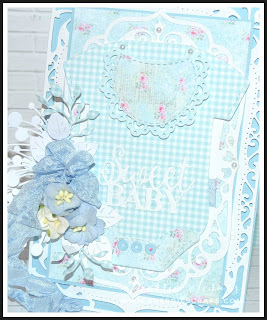 I absolutely love these beautiful cards... that onesie die is so pretty!!! I love that you created one for a baby girl and another for a baby boy! So beautiful my friend! So glad to see you had time to get in your craft room and make a few cards, I know life has been busy! Really hoping you are okay and all is okay with dad and the family. I continue to pray for you all. Thanks for also playing along with us in our FFC!! Have an awesome day! Sherrie, these baby cards in pink and blue are truly the most elegant I've ever seen! I love that you made one for a boy and girl, since I have boy/girl twins :):)! These dies work so wonderfully together at your artistic hand! Those papers are soooo sweet, as is the gift giver and YOU! Sending hugs! Beautiful card ! Love tne colors ans design ! ooooh....the sweetness! 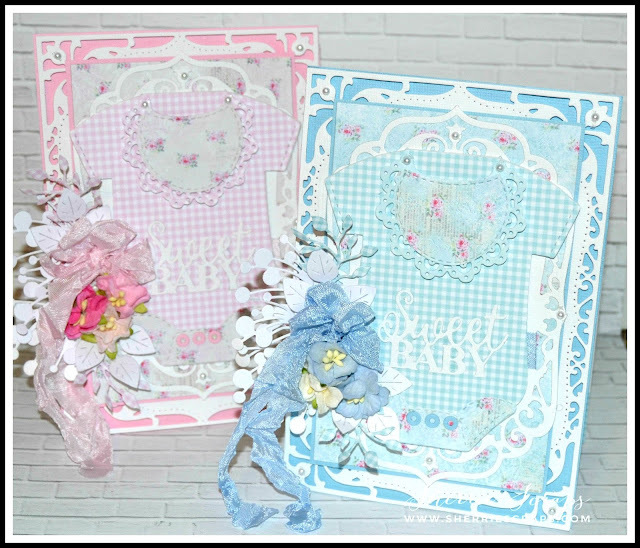 I love baby cards and I love gingham and I LOVE these sweet cards! These are just perfect for a new mommy, so special! Wonderful creation. Thanks for blessing us with your creation at Word Art Wednesday. 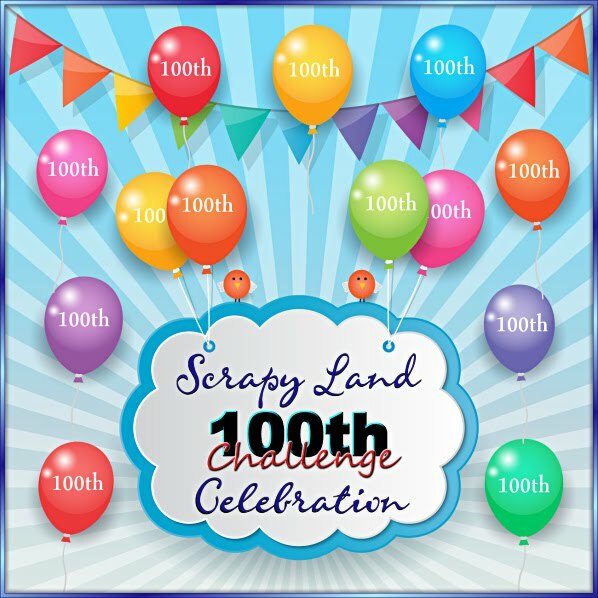 Please join us again in our current challenge. Leaving you with the inspiration of God's Word in Philippians 1:6 which says, "For I am confident of this, that He who began a good work in you will continue to perfect it until the day of Christ Jesus." Have a blessed day!